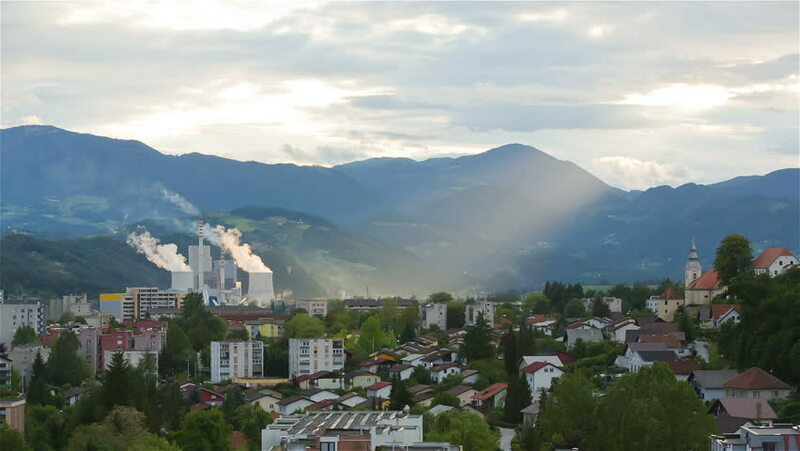 hd00:16Producing electricity with Thermal Power Plant in small city in Slovenija, Velenje. City at sunset, shining on thermal power plant, beautiful cloudscape and lights. Long shoot.